Bengt Halvorson November 16, 2011 Comment Now! 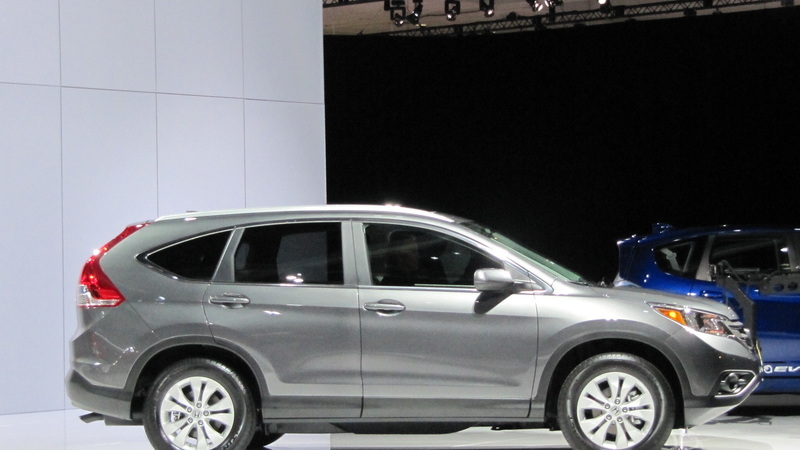 At the Los Angeles Auto Show this afternoon, Honda officially pulled the wraps off a redesigned 2012 CR-V. 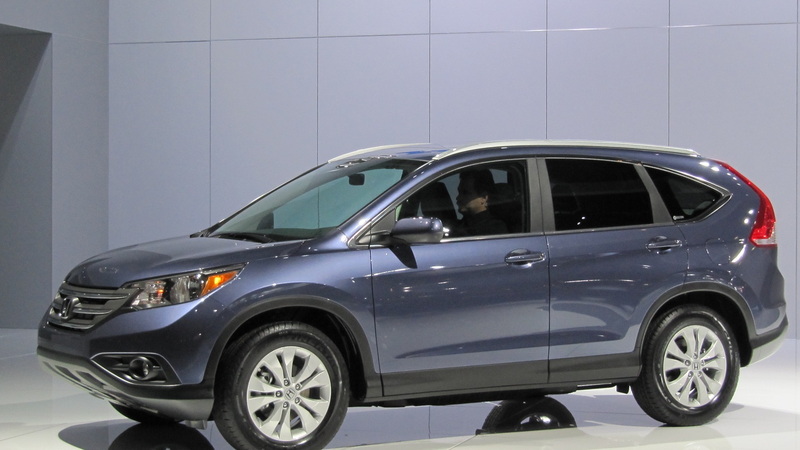 The CR-V, at first look, appears as a mild evolution of the previous version, rather than a complete redesign, and it's virtually the same size and proportions as the outgoing version; but this is an all-new fourth-generation CR-V, with a somewhat reconfigured interior, much-improved interior tech, and improved ride and refinement. Powertrains are familiar; the 2012 Honda CR-V gets a 185-horsepower, 2.4-liter four-cylinder engine and five-speed automatic transmission. All-wheel drive is optional, but it's a new version of the company's Real Time AWD system that no longer needs to spin the front wheels before sending power to the rear. 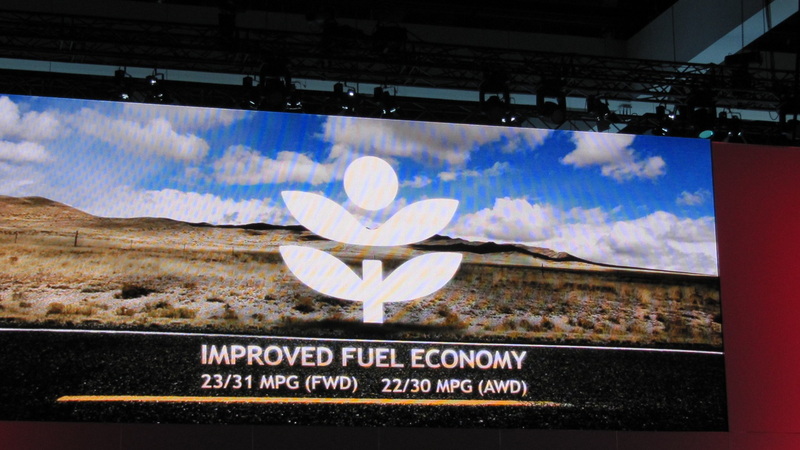 In part thanks to taller gearing, EPA fuel economy ratings have risen significantly, up to 23/31, and it's the highest-mileage AWD crossover in this class, according to Honda. The last-generation CR-V stood out for its almost minivan-like interior, and the new version looks like no letdown with respect to space-efficiency or versatility. In fact, its rear-seat design allows you to fold portions of it forward with a simple tug of one strap--as the seat folds forward in several steps, all part of one fluid motion. 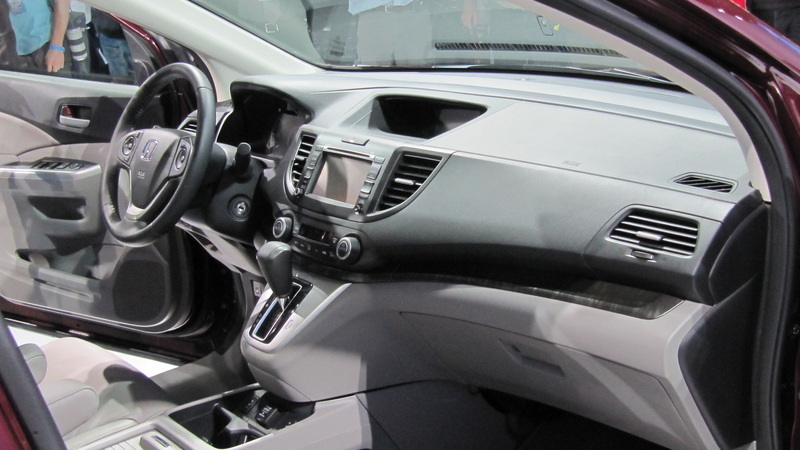 Honda has stepped up with respect to tech features; Bluetooth connectivity and streaming are standard across the model line, and there's a new i-MID display plus Pandora streaming audio through a smartphone app. 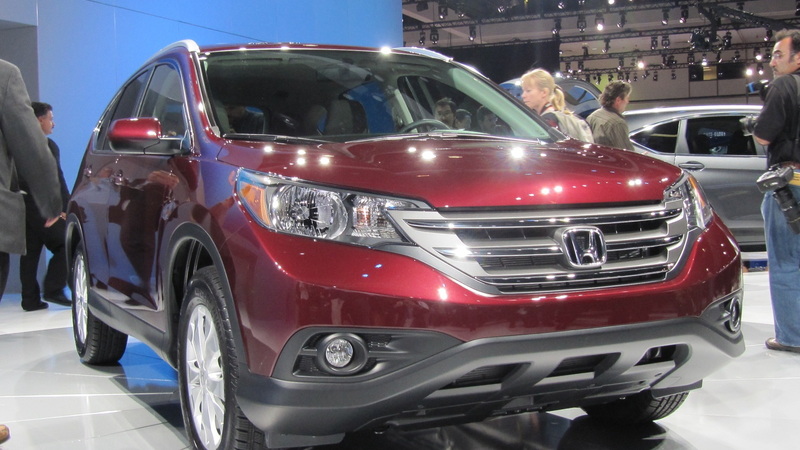 Under an embargo agreement with Honda, we were able to drive the CR-V before its auto-show debut. Click here for our first drive of the 2013 CR-V, or here for our full review--after, of course, checking out these live galleries direct from the show stand.